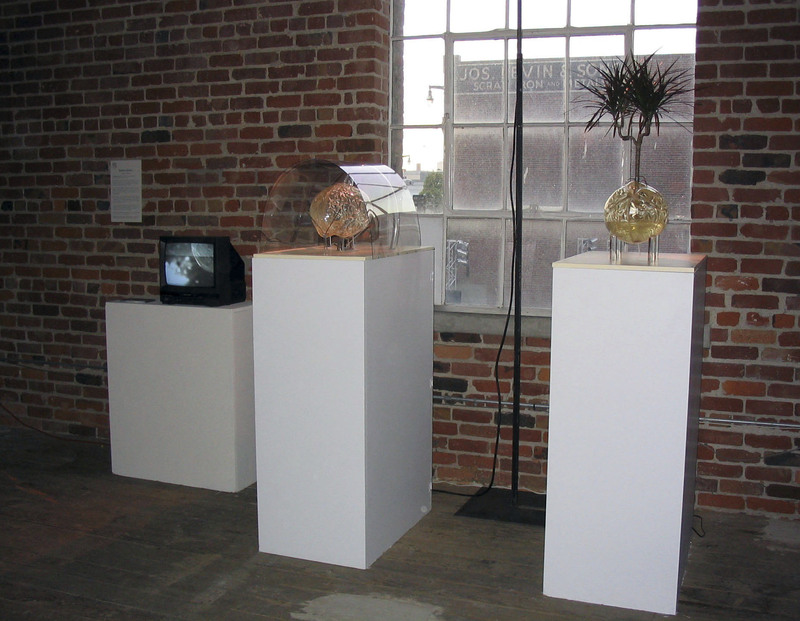 Bee hive [Apis melifera], plant [Dracaena marginata], hydroponic system, mini video camera, TV set, polyurethane, wood, acrylic tubing. Dimensions vary. 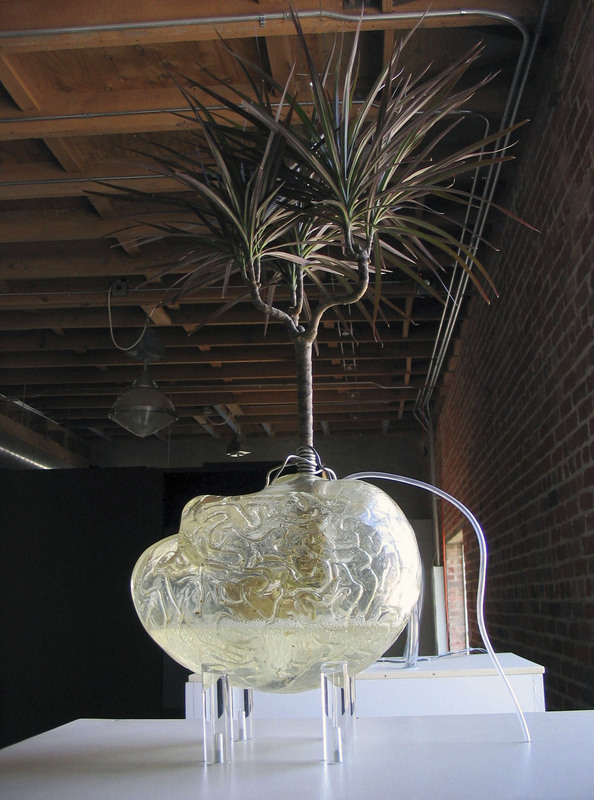 Wisdom of the Earth is a process-based installation dependent upon two living systems: a beehive and a plant. For the duration of the show the bee colony lives in the gallery and collected pollen from the surrounding area. 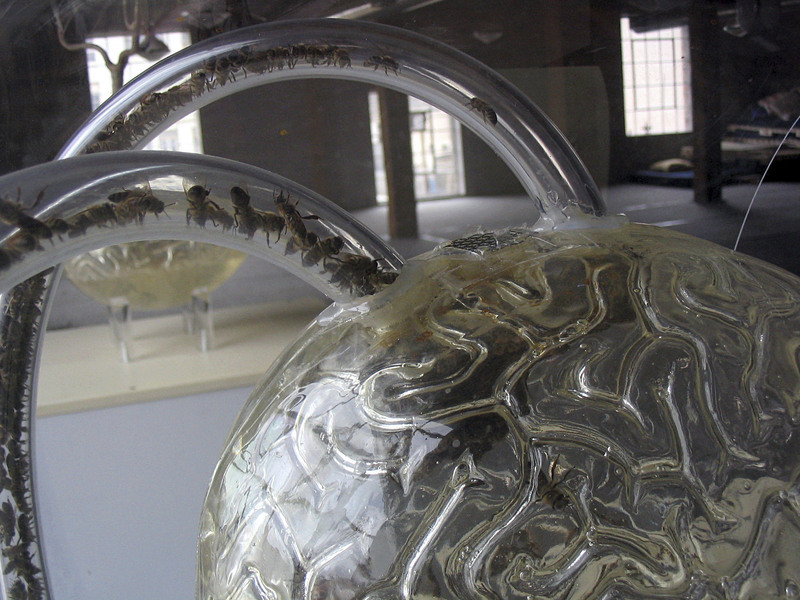 As the beehive grows, it builds a honeycomb inside the clear [human] brain shaped form provided. A television set projects close-up views from the interior of the brain. 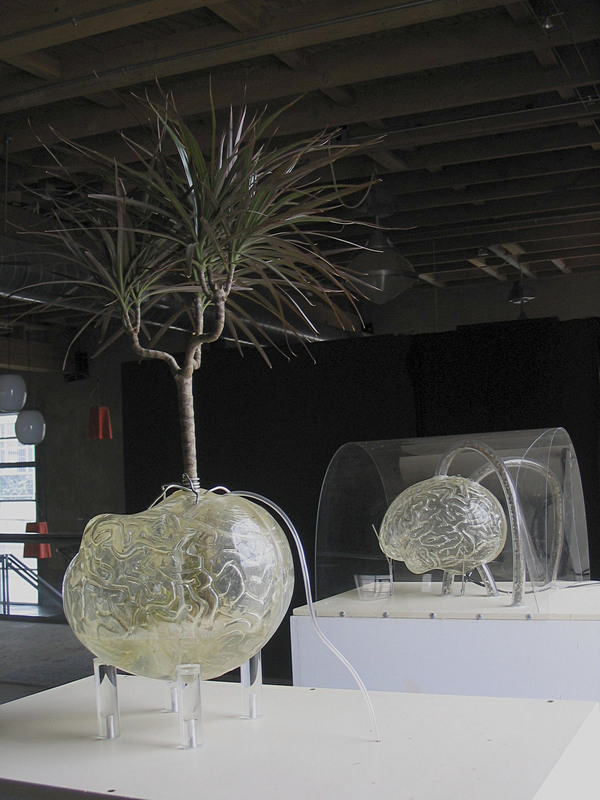 On a different scale and schedule, we can observe the growth of a plant in a hydroponic system, developing its roots inside a second clear [human] brain shaped form. 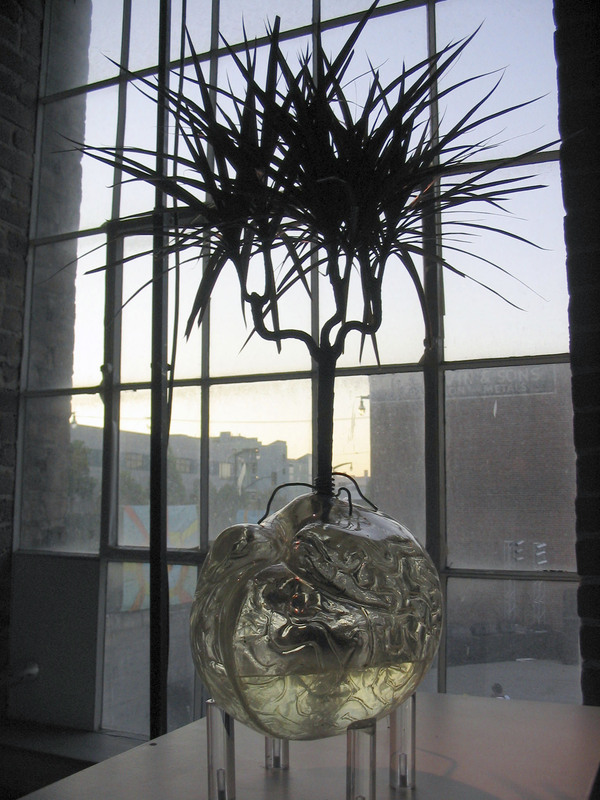 Growing at an invisible rate to the naked eye, the plant develops a hybrid root system based on its genetic blueprint and the environment provided. 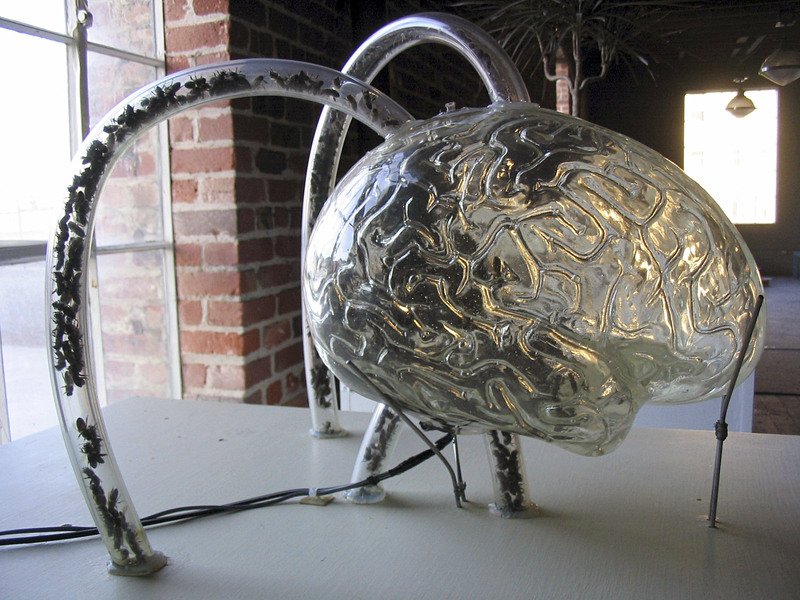 We are observing two complex adaptive systems guided by a kind of “virtual brain”.